An outbreak of E. coli bacteria in romaine lettuce has almost doubled in size over the past week, sickening 98 people in 22 states, US health officials said on Friday. No deaths have been reported but 46 people have been hospitalized, including 10 suffering from kidney failure, said the US Centers for Disease Control and Prevention. People should not eat romaine lettuce unless they can confirm it was not grown in the area around Yuma, Arizona, officials said. 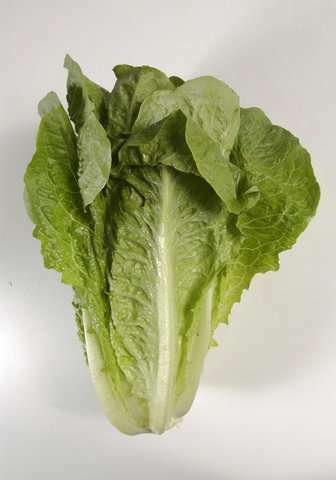 "CDC is advising consumers not to eat or buy romaine lettuce if they do not know where it was grown," said a statement. "This advice includes whole heads and hearts of romaine, chopped romaine, baby romaine, organic romaine, and salads and salad mixes containing romaine lettuce." An investigation into the source of the outbreak is continuing. Experts have identified one Yuma, Arizona farm, called Harrison Farm, linked to E. coli in whole-head romaine, but two dozen other farms in the area are also being investigated. Lab tests have shown that the type of Shiga-toxin producing E. coli O157:H7 involved in this outbreak "produces a type of toxin that tends to cause more severe illness, which may explain why there is a high hospitalization rate," said the CDC. People generally get sick from E. coli three to four days after ingesting the germ. Symptoms generally include diarrhea, severe stomach cramps and vomiting.